The consequences of inappropriate OTC analgesic use can be serious. Below, learn about different ways patients may accidentally misuse pain relievers, and explore counseling tips that may help prevent misuse. Your approach to discussing OTC pain relievers can have a positive impact on how your patients choose and use them. Here are some tips for making the impact you desire. 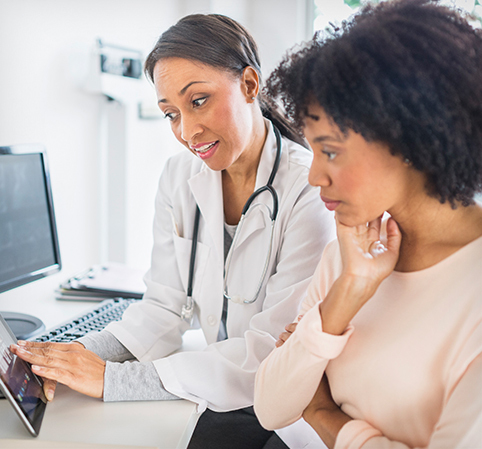 Explain WHY you’ve recommended a specific OTC pain reliever, based on your patient’s health conditions, medications, or other factors. Discuss your OTC recommendations as formally and seriously as you do prescriptions. Write down the active ingredients and brand name to ensure patients choose the recommended analgesic. Advise patients to look for the correct pill strength or formulation to ensure they can properly take the dose you recommend. Remind them that if they have questions when purchasing, they can consult the store pharmacist. Ask patients to repeat back your recommendation and instructions, so you’re sure they understand them. For tips on how to communicate effectively with your patient population of older adults, download free white papers from the Gerontological Society of America. Concise, visual resources that reinforce your counseling. Short answers to common questions about OTC analgesics. References: 1. U.S. Pain Foundation. 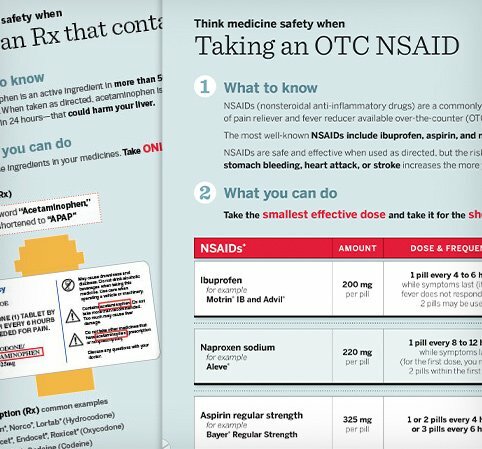 One in five Americans do not consider any key safety factors when choosing over-the-counter pain relievers [press release]. Fort Washington, Pa: PRNewswire/USNewswire. August 29, 2016. 2. Gerontological Society of America. OTC medication behaviors of older adults. Presented at GSA Annual Scientific Meeting; November 20-24, 2013; New Orleans, LA. https://www.geron.org/images/gsa/otc/OTCsymposiumnov13.pdf. Accessed July 13, 2017. 3. Gerontological Society of America. Communicating with Older Adults: Recognizing Hidden Traps in Health Care Decision Making. Washington, DC: GSA; 2016. 4. Gerontological Society of America. Communicating with Older Adults: An Evidence-Based Review of What Really Works. Washington, DC: GSA; 2012.